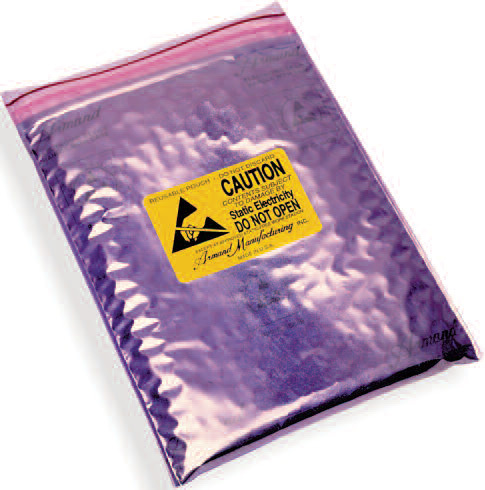 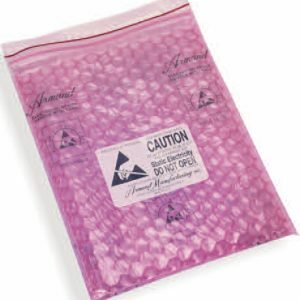 Series 9083 Static Shield Zip Close Cushion Bag - Armand Manufacturing, Inc. 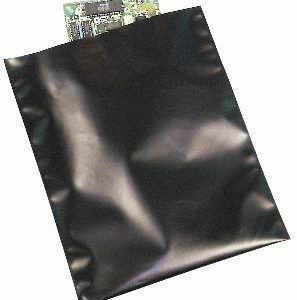 Maximum ESD protection in a three ply pouch with Faraday cage constructions featuring an inner layer of static dissipative .004 poly meets electrical and physical properties of MIL-PRF-81705D, Type II, a mid layer of Cancel® cushion meets PPP-C-1842 Type I and CID-A-A-3129 Type I; a static shielding outer layer meets electrical and physical properties of MIL-PRF-81705 Type III. 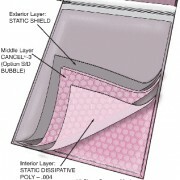 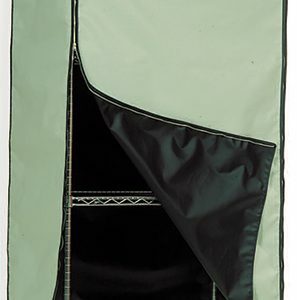 Armand’s multi-layer construction offers static shielding and impact resistance all in one bag. 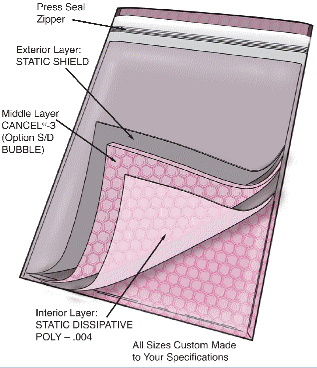 Available options include an outer pocket, static dissipative bubble cushioning meets PPP-C-795 Class 2, an inner layer of amine-free, static dissipative .004 poly meets electrical and physical properties of MIL-PRF-81705D Type II, metal slider.